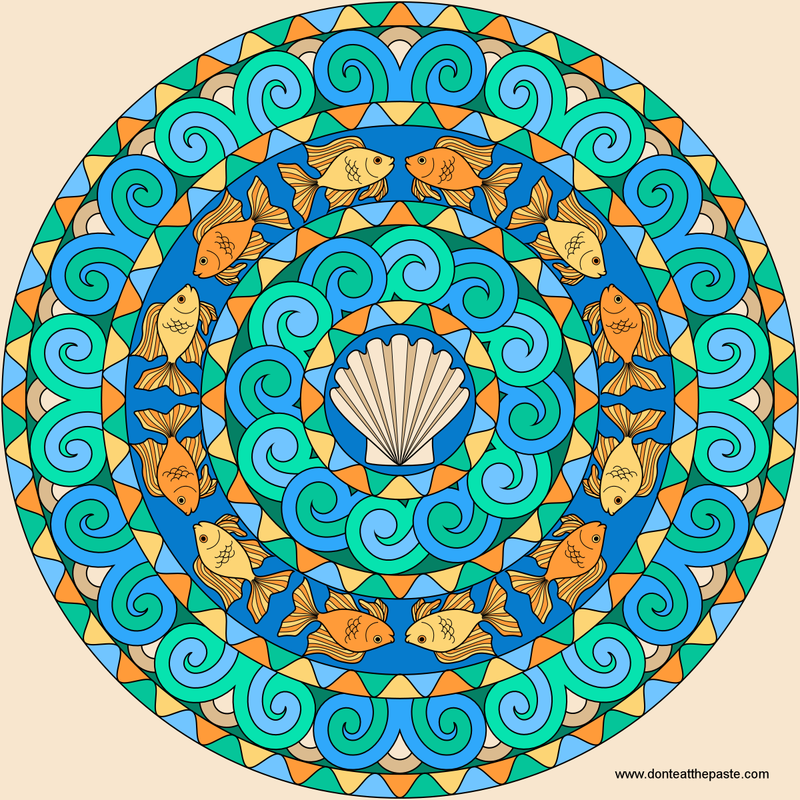 I hope you enjoy this goldfish mandala to color. The fin and tail lines are very fine and just there for definition. Coloring the fins and tail a solid color would be a lot easier than trying to color them in the way the example is colored! Click the images below for larger versions to color. 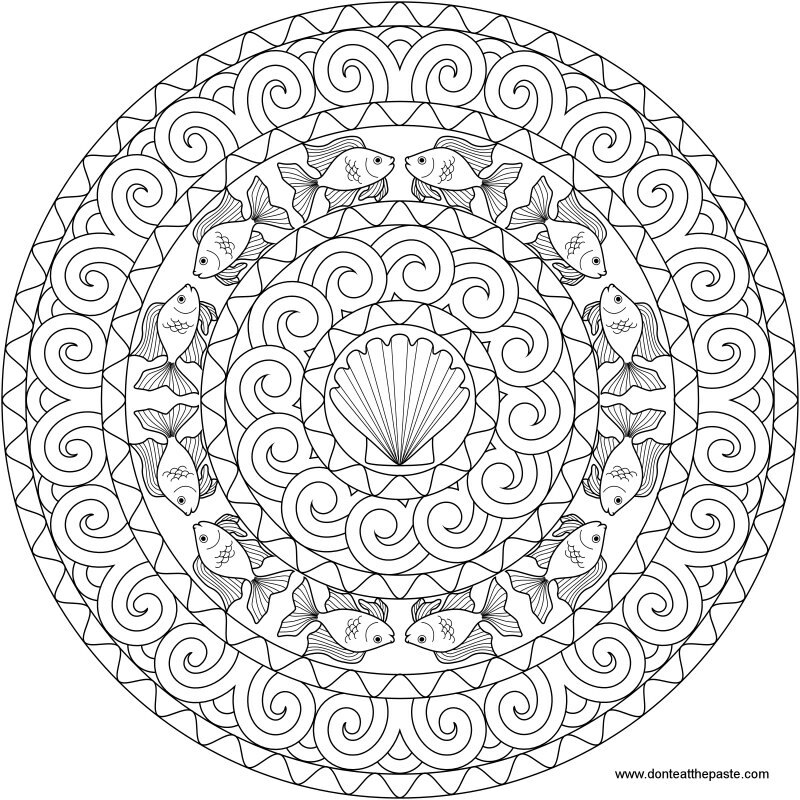 I'm going to post a couple of book reviews in the next day or two, and work on a new youtube mandala video. Have you seen my first one?